All Dance Obsession teachers are licensed members of the National Dance Council of America. Our teachers love dancing and are eager to convey their enthusiasm to all their students. Barney & Debbie Aquilino have been teaching ballroom dancing for 35 years and have owned Dance Obsession for over 30 years. After only a few short years of dancing together professionally, they won the US Rising Star Ballroom Championships in Foxtrot, Bolero, Swing and Mambo. In the years following that accomplishment, they placed in the top 6 finalists in every professional competition they entered. After their first child, they took a break from competing but returned several years later competing in a new division—International Latin. They retired from professional competition in 1998 to add another child to their family. During the time that they were competing professionally, Barney & Debbie opened Dance Obsession and continued teaching students. They love dancing and have retained all their professional techniques, which they freely share with their students. As Barney says "In addition to being fun and great exercise, the benefits of dancing are endless. It can totally change your whole world. When you study ballroom dancing, you become part of a world filled with glamour, excitement and lots of fun. Most ballroom dancers stay in great shape and appear ageless." 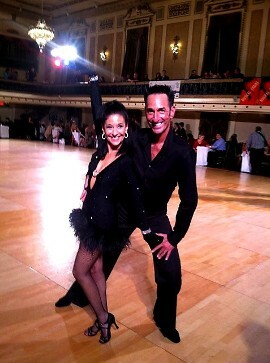 I've taught ballroom dancing for 25 years (20 at Dance Obsession). Over the years, I've taught a wide range of students—some who are brushing up old skills, others who are brand new to dancing, singles, couples, males, females, some are social dancers and others love to compete. I believe that with patience—and having steps & movements explained numerous ways—anyone can become a dancer. In addition to being a great stress reliever, dancing is a way to meet and make new friends. After many years of teaching ballroom dance, I joined the staff at Dance Obsession over nine years ago. My teaching philosophy is "anyone can learn to dance". Although no two people have the same ability or drive, everyone can master basic steps and achieve a sense of accomplishment and contentment. I enjoy working with everyone, regardless of his/her ability and take pride in seeing my students succeed. After pursuing my dream to become a Ballroom Dancer, and winning in various competitions, I was given the opportunity to become an instructor and part of the Dance Obsession family. This gave me the chance to share my love of Ballroom Dance and give to my students what I have learned while watching as they grow into confident, beautiful dancers. Whether choreographing their wedding dance, or teaching each individually, it is most rewarding to see how much my students love coming in for each lesson to learn something new or prepare for something special. I take great pride in seeing each student reach for their goals and continue to reach for more! Dancing is not only an emotionally uplifting experience, but it is great exercise and an open door to meet new people and have fun! I have been part of the Dance Obsession family since 2010. Being part of the ballroom, and in particular Dance Obsession, world has helped me grow as a teacher, performer, dancer, and person. The social, physical, and artistic skills necessary for ballroom have improved my poise, my physical ability, and especially my confidence both on and off the dance floor. I have successfully competed in several dance competitions and I have also performed in and choreographed several showcases. One of the best parts of teaching at Dance Obsession is getting to work with brides and grooms to prepare for their big day! I look forward to helping all of my students make their dance dreams come true! See you on the dance floor!! I have been an instructor and part of the Dance Obsession family for over 13 years. Dancing is my passion! I started as a student who loved to perform and enter competitions with my instructors. Then I began teaching and love all the different areas that make dancing such a beautiful hobby. Teaching my couples for their wedding; or parents of the bride or groom; or just basic social dancing is so rewarding and enjoyable! Everyone can learn to dance! No such thing as two left feet! Dance like there is no one watching! In addition to providing customized choreography, coaches offer dancers a myriad of opportunities. 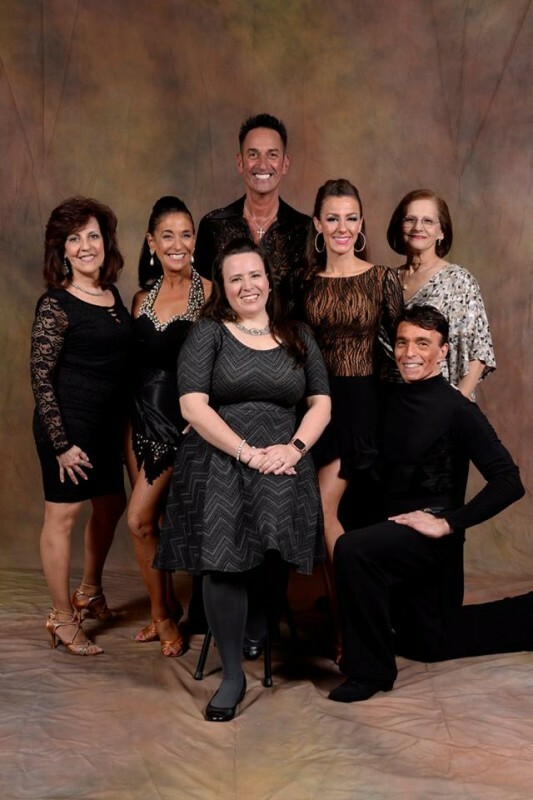 Coaches who have worked with Dance Obsession students include: Bonnie Diaz, Ed Simon, Tony Meredith, Ian Folker, Peggy Heeney, Marianne Nicole, Amy Block, Bill Davies, Mereym Pearson, Beverly Donahue, Robert Ritchie, and Corky & Shirley Ballas.